Even though the snow never amounted to much at my house this winter, my family was buried under drifts of illness for what seemed like months — just as one of us got over a cold, someone else would get a stomach bug, or the flu, or an ear infection. I will spare you the details, but this was the first winter I bought crackers, ginger ale, and popsicles in bulk. So, before these winter colds turn into spring allergy-induced sinus infections (we’re prone to them), I am determined to do something, anything, to boost my family’s immune system. I asked nutritionist John Rickards, RD LDN CPT, for his thoughts on this. Is It Actually Possible to Reset (or Boost) My Immune System? Rickards: I wouldn’t say that you can ‘reset’ it, but you can focus on getting it regular again. That means getting back on a regular sleep schedule, eating balanced meals, and exercising. What Foods Would Help Get Things Back to Normal? Rickards: I would focus on antioxidant rich foods, which include veggies and fruits high in vitamins A, C, and E. When everyone thinks of vitamin C though, they think oranges, but broccoli, bell peppers, and strawberries actually have more. It’s definitely better to get these vitamins from food rather than supplements. Supplements can’t match the benefits of the live nutrients and phytochemicals found in whole foods. What Can Ensure a Healthy Immune System? Rickards: If you have a healthy digestive tract chances are you have a healthy immune system. You can tell if your digest tract is healthy when things are “moving well.” I suggest adding chia seeds, probiotics that are naturally-occurring in fermented foods, tea, and yogurt, as well as healthy fats like avocados to help absorb fat-soluble vitamins to your diet. What is Your Favorite Immune-Boosting Food? Rickards: Personally, my go-to recipe is a green smoothie with chia seeds and strawberries. If you’re looking for great recipes, I recommend yummly.com. Want to Learn More? See a Dietitian for Free. Independence members get six free nutrition counseling sessions a year. * You can search for a participating registered dietitian using our online provider directory. *Not all employers offer nutrition counseling visits as part of their benefits plans. Please contact Customer Service or your benefits administrator to determine if this benefit applies to your coverage. 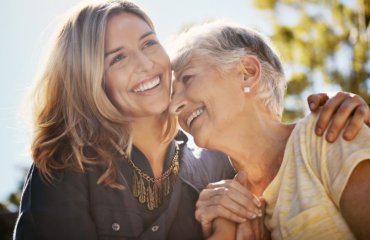 The Perfect Kind of Self-Care for Caregivers?